As readers complete each section of dots in this fun activity book, beautiful animal portraits are revealed so intricate theyre ready for display! The 20 puzzles in this book are much more sophisticated than the one-dimensional images created in childhood connect-the-dots books. Tonal shading and expressive line work build as each numbered section is finished. Dot-to-dot puzzles have also been proven to increase short-term cognitive acuity, hand-eye coordination, and concentration skills. 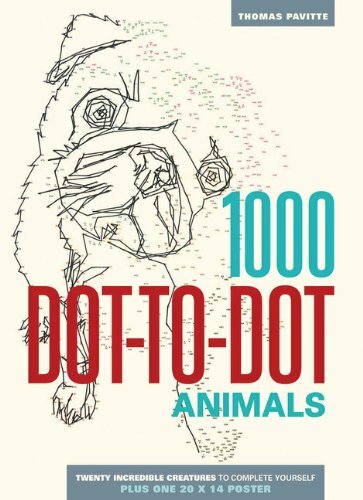 Whether readers are filling time on a rainy day, using the puzzles for a party game, or learning the principles of drawing, 1000 Dot-to-Dot: Animals is fun for all ages.